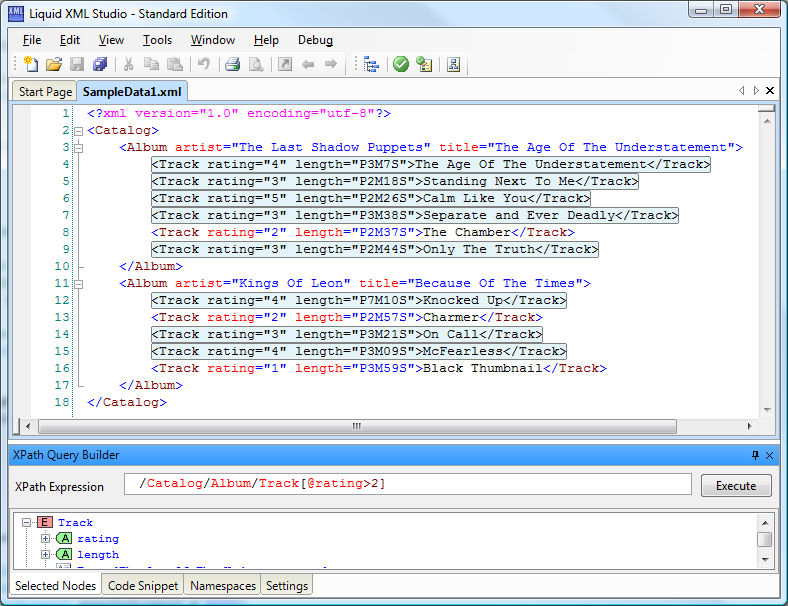 XPath (XML Path Language) is a language for selecting nodes from within an XML document. 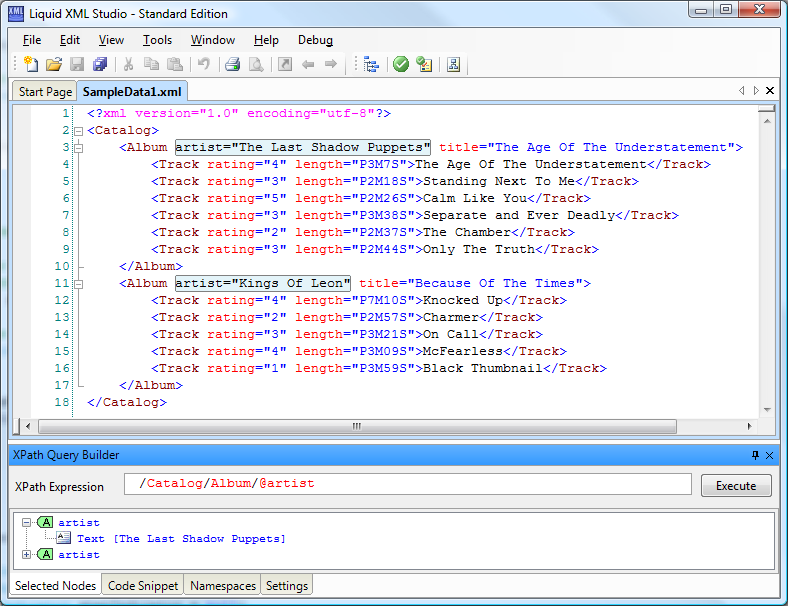 This tutorial explains various common XPath expressions used to extract data from XML documents. 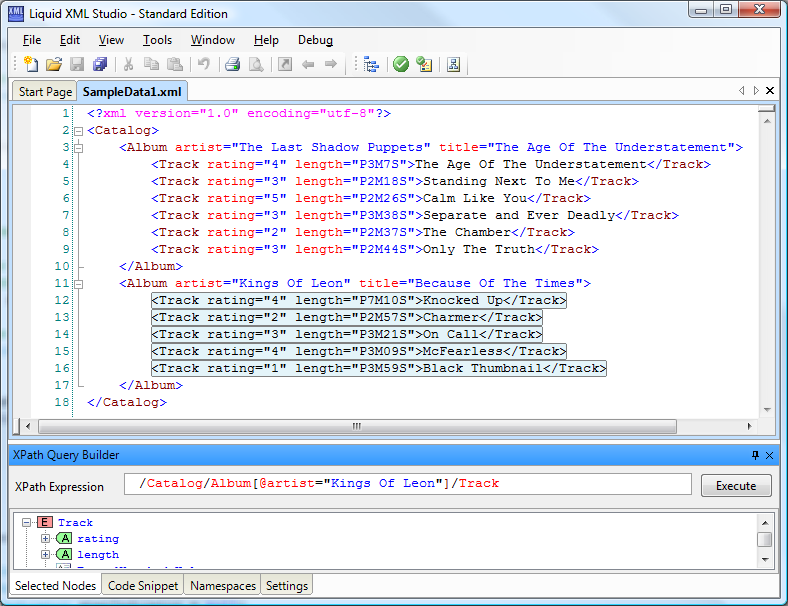 Version 1.0 of the XPath standard was released in 1999, and is now supported in most languages and platforms. 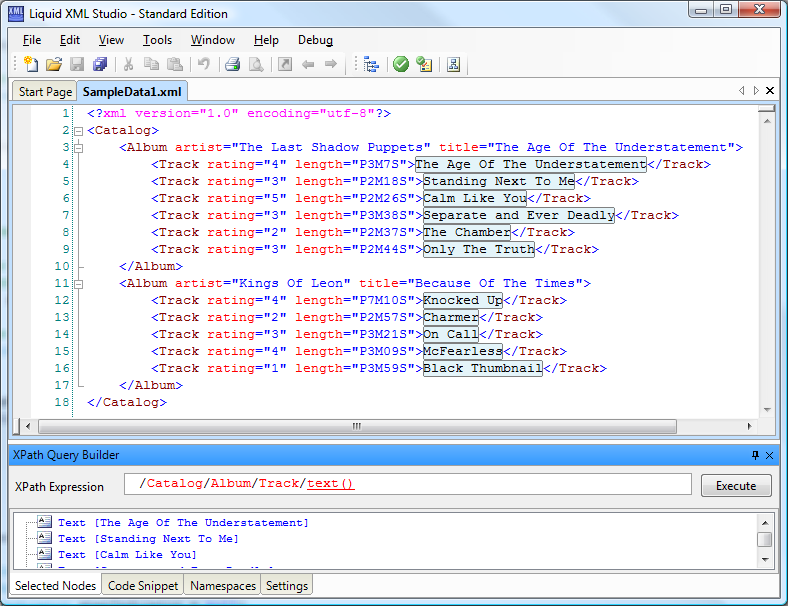 Version 2.0 of the standard was released in 2007 in an effort to share more functionality between the XSLT and XQuery standards. Version 2.0 is backwardly compatible with 1.0 and adds a number new operators includingÂ looping, set manipulation, conditional expression, and aggregate functions. 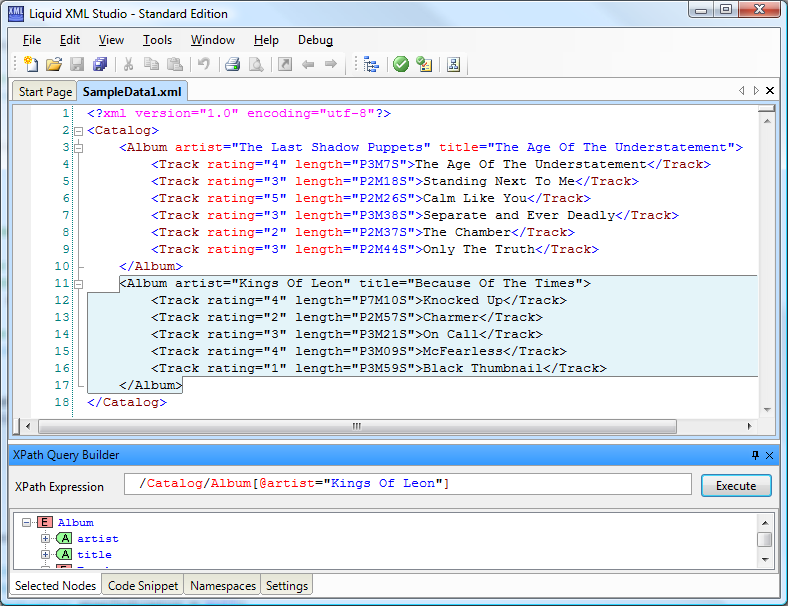 The XPath Expression Builder included in Liquid Studio makes it simple to visualize the results of your XPath Expressions.